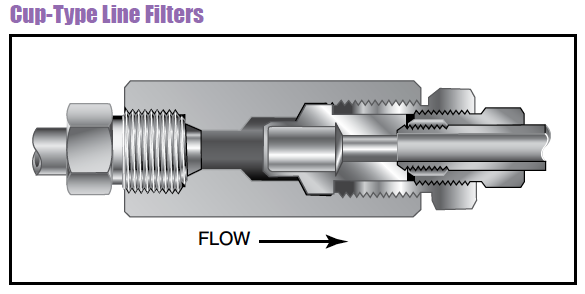 High flow cup-type line filters are recommended in high pressure systems requiring both high flow rates and maximum filter surface area. Widely used in the industrial and chemical processing fields, the cup design offers as much as six times the effective filter area as compared to disc-type units. In addition, the filter elements can be quickly and easily replaced.